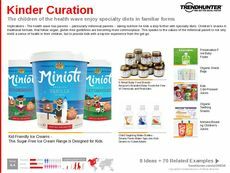 Find Better Ideas, Faster ® with a custom kids snack trend report, our PRO Dashboard and 80+ categories of premium trend reports. 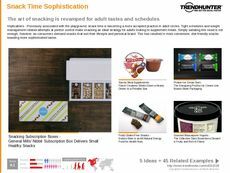 The Kids Snack Trend Report features an abundance of packaging innovations that will appeal to parents who lead a busy lifestyle. 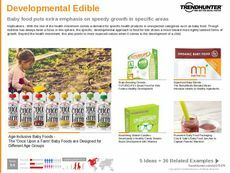 In addition to portable snack pods and single-serve snack packaging that is ideal for on-the-go use, this data also includes kids snack recipes and products that are infused with superfood ingredients and healthy proteins. Some other notable examples include diet-specific snacks that target children with allergy-related food restrictions. 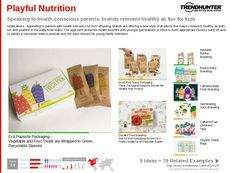 Targeting food industry professionals, teachers and parents, the Kids Snack report zones in on portable and convenient packaging but also explores the food industry's recent focus on wholesome and natural ingredients. 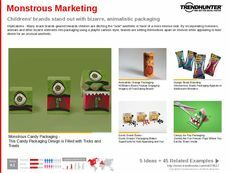 The report's research is also beneficial to designers who will be able to draw inspiration from its interactive and toy-inspired marketing examples. 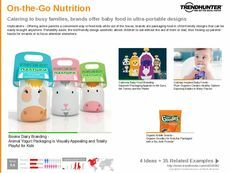 Made up of innovative packaging examples and healthy food products, the Kids Snack report explores how accessible healthy nutrition is becoming for modern families. 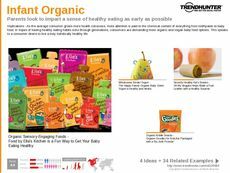 From superfood kids snacks to gamified packaging, today's snacks are more fun than ever but consider health and nutrition a top priority.